Nokia once held 40% of U.S. market share for all mobile phones. But today, they are struggling to keep pace with Android and iOS. And, although they've abandoned the "burning" Symbian platform in favor of Windows Phone 7, investors are looking for greater assurance that Nokia will rise to their previous preeminence. In an interview with CNBC, Nokia CEO Stephen Elop expressed confidence in the Windows Phone 7 OS, saying that "consumers are saying the Windows brand operating system is very good. Better in terms of satisfaction than the competing platforms." But Elop did admit that there is no 'Plan B' after their WP7 push: "Plan B is to make sure that Plan A is very successful". And this is a tough issue from a market perspective. 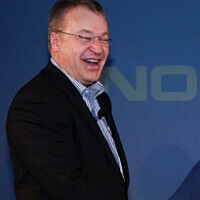 Should Elop have insinuated that there's a plan if Windows Phone 7 fails to revive Nokia? Of course, the truth is that a failed WP7 push will likely mark the end of Elop's stint at Nokia, so a Plan B really isn't his concern. Elop went on to say that Nokia will use the WP7 OS to cater to all price ranges. And that could be a key ingredient to their success. An ever-improving WP7, combined with Nokia's strong aesthetics and a broad lineup could be the beginning of Nokia's revival. I like this article. It has a positive feel to it unlike other articles who keeps on implying that Nokia is going down. Agreed. Nice read, props Ken. As far as the subject goes, not too sure of Elop, but WP7 and Nokia sound pretty sweet to me. Microsoft has strict hardware restrictions for WP7 platform. With such high end specs, how do Nokia plan on producing WP7 handsets at entry-level and mid price ranges? I honestly hope these phones come to Sprint. I love Android and all, but I need a change lol. Good post. This is a huge risk for Nokia. A less risky alternative would of been Android. With Nokias Hardware expertise, esepcially where i Need it cameras, video, xenon flash a Nokia android phone could be amazing. There was a time every year my phone was a high end nokia smartphone. Now its always Android. I don't like Windows 7 because the UI looks like it can't be configured. Everything on android can be modded configured to however you see fit. sorry but it's the fact. statistics show it. they just interpret the trend. im sure once nokia releases WP7 devices. they will gain again. I kinda laughed at the "Elop won't be around for plan B" comment. Windows has a smooth running, easy to set up OS which will have a very loyal fan base in a couple more years. Since it is not as easy to change around as Droid, it will not appeal to as large of a base. But I think Nokia will make a larger profit on it, as the software will not be maintained at their expense like Symbian was. As for mid-range Smart phones, surely Nokia and Microsoft have a plan for that. For Windows to truly compete with Google, they had to branch into that market anyway. May as well do it with the experince of Nokia behind them. The reason there is no plan B is because plan A is designed to fail and fail hard. It's all part of the plan for Microsoft to buy out Nokia at a premium price.